Jupiter is fifth closest planet to the Sun. It is the largest of all the planets in our solar system. Jupiter is 318 times massive than our Earth and two times more massive than all the planets of solar system combined. Jupiter is not a terrestrial planet, it comes in another class of planets known as “Gas Giants” means it doesn’t have a solid surface. 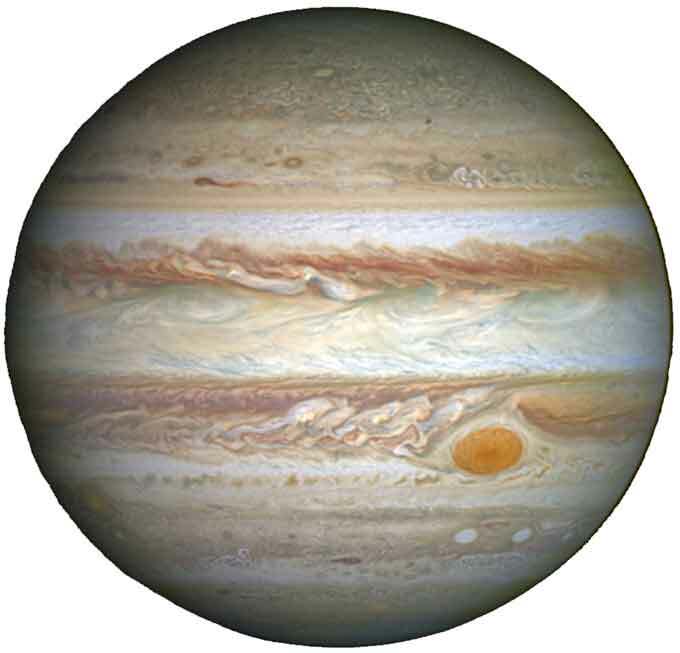 Jupiter spins faster on its own axis than Earth does, so the length of its day is 9.92 hours. Jupiter doesn’t have the solid surface, its surface and atmosphere are gaseous. These gasses are continuous in motion, giving rise to very massive and violent storms, winds, thunders and lightning. The most notable storm on Jupiter is the great red spot, it is so great that three Piles of Earth can fit inside it. The great red spot is quite stable, it has been storming for hundreds of years with winds around 400 miles per hour. The energy that powers these massive storms comes from Jupiter itself. The atmosphere of Jupiter is made of 90% hydrogen and 10% helium with smaller traces of other gasses. Since Jupiter doesn’t have the solid ground so scientists regard the surface as the point where the atmospheric pressure of Jupiter becomes equal to Earth’s surface pressure. Scientists don’t have enough data to completely tell about every layer of the Jupiter, but it is believed that beneath the dense clouds the pressure becomes so intense that the gaseous hydrogen turns into the liquid hydrogen. Further below the liquid hydrogen layer, there is a core where pressure becomes very intense to turn the hydrogen into solid metallic hydrogen. Jupiter’s existence was known to human beings for thousands of year because it is the 4th brightest object in the sky after the Sun, Moon and Venus. The first mission to planet Jupiter was pioneer 10, it sent the close-up picture of Jupiter in 1973. Then, Voyager 1 and Voyager 2 sent the close-up pictures of Jupiter and its moons. Then, many other fly-bys were made to Jupiter. 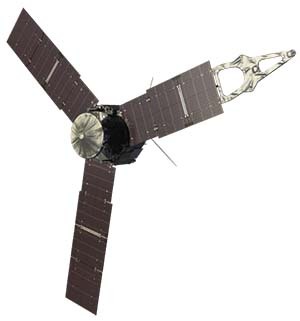 Recently, NASA sent a solar-powered spacecraft “Juno” which reached at the planet Jupiter on 4th July 2016, it will orbit the planet and give detailed information about whether, magnetic environment and formation of Jupiter. Abdul Wahab, "Jupiter," in Science4Fun, April 13, 2019, http://science4fun.info/jupiter/.